A Texas city official who resigned after using a racial slur to describe two black prosecutors has rescinded that resignation. 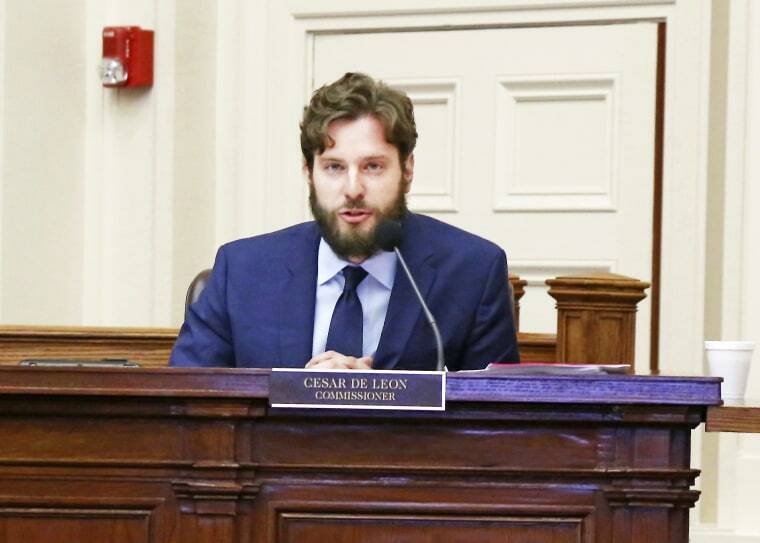 Brownsville City Commissioner Cesar De Leon withdrew his resignation in a letter delivered to the city secretary Monday. Mayor Tony Martinez says De Leon rescinded his Thursday resignation before an eight-day grace period expired. The resignation would have become final after the expiration of the grace period or it's formally accepted by the city commission. On Friday, De Leon submitted his resignation saying it had been "an honor to serve the people of Brownsville and to represent our community" after a recording of De Leon using the n-word and f-word to describe the prosecutors was posted on social media. "They are f---ing ... and I would say this, that I would never dare use that word, but you know what, yes, there are a couple of n-----s in there that think that all of us are f---ing taco eaters," De Leon said, according to The Brownsville Herald. He did not mention the remarks in the letter announcing his resignation, but that "I was informed of a conflict of interest between my legal practice and the city Brownsville. Veronica Sanders, one of the Brownsville assistant district attorneys De Leon mentioned in the recording said De Leon took back his resignation because "he feels that he does not have to be held accountable for his words and thinks he is above all people." "He is unstable," Sanders told NBC News. "I am angry, saddened that he refuses to take responsibility for his actions. I feel very let down by the city government and the local Democratic Party who has yet to say anything. Silence is acceptance." Earlier this month, De Leon had publicly apologized for the remarks and said he made a "terrible mistake," but that he wouldn’t resign. He also apologized to Sanders in a letter and aid that in a moment of frustration he wasn’t thinking about his words. “Hopefully one day I will be able to right my wrong," read the letter, a copy of which was seen by NBC News.